Dan, our kayak instructor, finished his tirade with a long hard stare at Rodney and me. Instinctively, I turned around. Not seeing any spider, snake or shark, I considered that Dan had already singled me out as the ‘problem child’ of our little excursion. Attempting to pull me away from my ps4 and the latest Batman game, my siblings have kidnapped me this morning. We are currently heading south to Hilton Head Island, SC to enjoy the next ten days biking, golfing, and avoiding the occasional shark attack. Compared with our Orlando vacations, Hilton Head decided is a welcome change of pace. Biking, golfing, swimming and eating encompass much of the island’s entertainment. 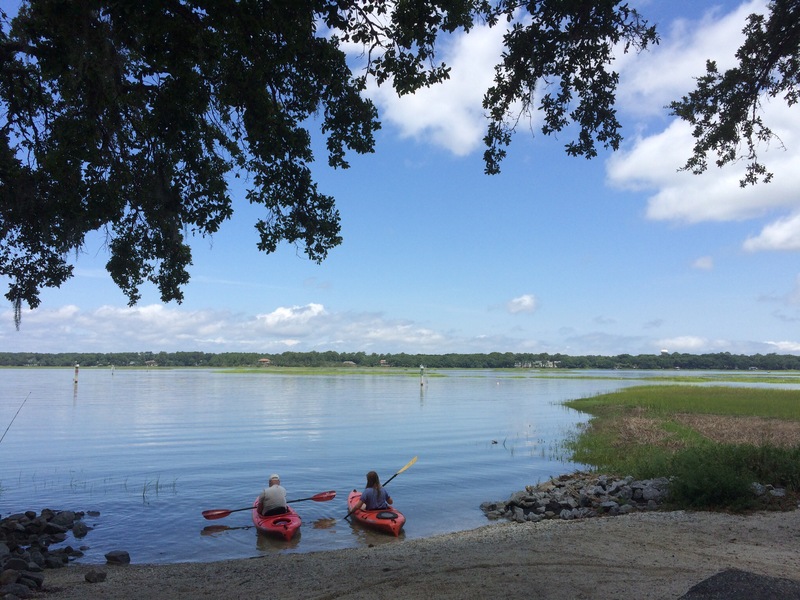 And while fishing and kyaking are available by reservation — I’ll discuss these in a future post — the point of Hilton Head is to imagine a vacation without schedules, roller coasters, or hour-long queues outside of Space Mountain. I’ll post pictures of the resort and the island over the next few days with a proper write-up of our adventure after we return. See you later! The final frontier. As a kid, I’ve never acquired the obsession with space travel that so fascinated the prototypical ‘geeks’ of my generation. Before high school, my friends and I began to specialize: the road to anime, the way of the superhero, the path of fantasy, the . . . starport to sci-fi. Most of us would explore other genres as well, adopting one another’s obsessions in time. I introduced Dasad to Tolkien; he led me to comic shops, where I began collecting Batman; our friend, Lloyd, reveled in mecha anime, magical girls, Dragonball and Pokemon. We all loved video games so finding common ground proved easy. Still amid all the late movie marathons and gaming sessions, their interest in space and future tech never really stuck. The nature of space and its prerequisite vacuum always seemed overwhelming and claustrophobic at the same time, like the paradox of a man trapped within infinity — or Marty always running out of time in Back to the Future. So, the boys and I sat down to watch Blade Runner last night: not the original theatrical release, the remastered director’s final cut with the unicorn and without the voice over — if you’ve ever seen the film you’ll know why it’s important to be specific. Sadly, Kevin and Shannon barely lasted through the first fifteen minutes, citing exhaustion and heavy eyelids as the reason. I can’t really blame them; the slow deliberate pacing of the film is not for everyone, particularly movie-goers in this post-Avengers world. Still the world that Scott drafted in the film delights me with its horrid beauty like a living breathing movie monster. If the boys could get past the pace, I think they’d find a wonderful enlightening experience. What’s all this got to do with Disney and vacation?